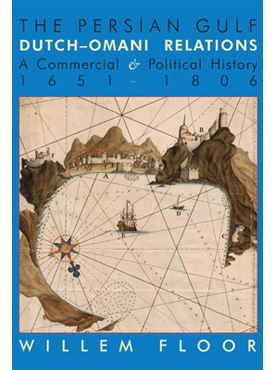 Dutch relations with Oman from 1651 to 1806 were substantial and the written accounts provide the most detailed picture of the political and socio-economic situation in that country during this period. The information on Muscat in the 1670s and 1750s is unique and revealing, while the trek of the Dutch shipwreck survivors in 1763 gives us a glimpse, for the first time, into the life and conditions of the people of Oman’s interior regions. All this information is brought to life in this book, which will be rewarding both to scholars and to those readers interested in the history, economics, and development of Oman and the people of the Persian Gulf. Willem Floor’s previous books in his Persian Gulf series include: A Political and Economic History of 5 Port Cities, 1500-1730; The Rise of the Gulf Arabs, 1747–1792; The Rise and Fall of Bandar-e Lengeh; Bandar Abbas: The Natural Gateway of Southeast Iran; Links with the Hinterland: Bushehr, Borazjan, Kazerun, Banu Ka’b, & Bandar Abbas; and The Hula Arabs of the Shibkuh Coast of Iran. Willem Floor was invited to Tehran in February, 2017 and presented with the Farabi International Prize for Humanitarian Studies.